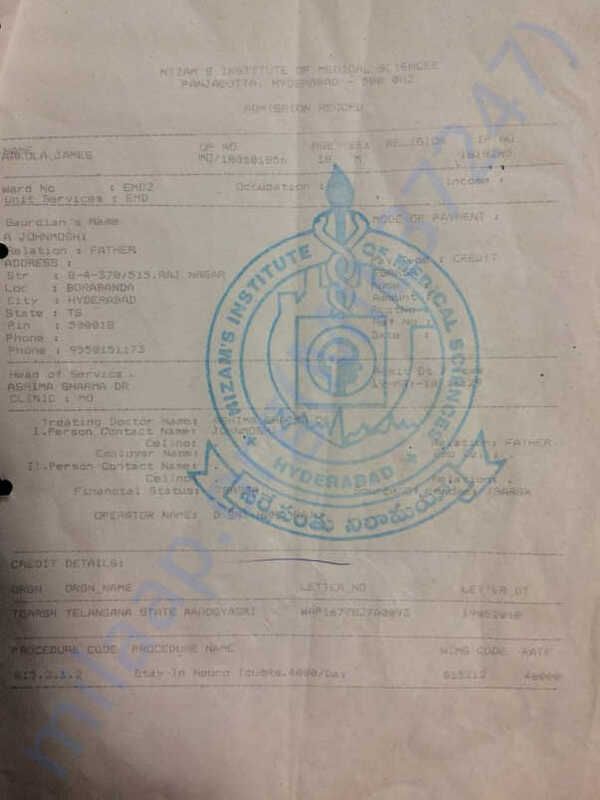 He is unconscious since then and taken to nearby hospital (Olive Hospital, mehidipatnam) and then shifted to Care Hospitals (Banjara hills) and shifted to NIMS hospital(somajiguda) on 17th may 2018 due to financial problem. 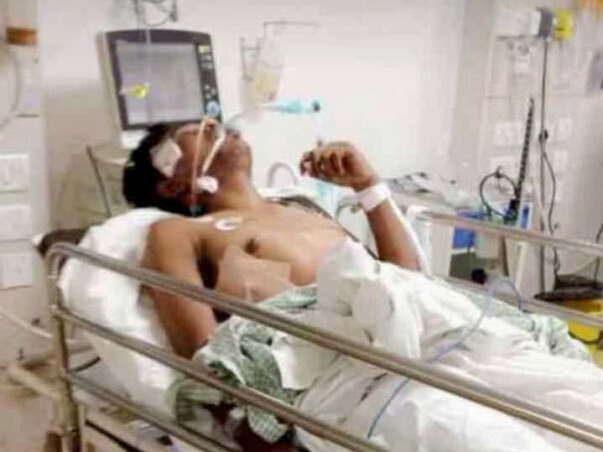 Doctors stated he had a severe head injury and damage to the brain as blood clotted and doctors were not clear about his status as his respiratory organs are damaged. As a friend myself, his family, friends, we do not know what happened at the accident spot. His father and mother are completely in shock as they are waiting for his son to be conscious, me along with our friends are taking care of them. Financially it is very tough for us, hospital expenses are costing daily 1lakh and we do not know how much it will cost further. Till now we have borrowed money from the relatives, friends and credit cards available and now looking for your support here. Akula James Babu is an engineering student at Vidya Jyothi institute of technology, Hyderabad and pursuing his third year in Mechanical Engineering fighting for his life. 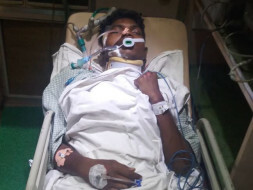 We request you all to support and pray for Akula James Babu and his family to save him. You can contact Rahul Goud(7569230979) for status and query. Please share this campaign as much as possible to help us reach more people. Any amount you can manage to donate will be a life support for James. I am attaching available documents for your reference. With inexplicable grief, we're having to inform you James passed away last Tuesday, on the 29th of May, 2018. We lost him around 10:30 AM. He was put on ventilator support. He was having sever respiratory problems and his body couldn't endure. This has left us all shattered. Thank you so much everyone. May God heal you soon.